MuscleXtreme SCAM Report - Should you sign up for the trial? 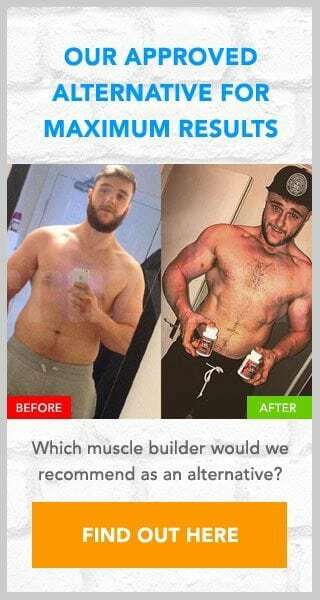 MuscleXtreme SCAM Report – Should you sign up for the trial? Using MuscleXtreme is claimed to help you “build and maintain muscle mass”, but how does it work? As it is a trial offer you may need to be careful to read the T&Cs, as previous reviews of trial offers have revealed high costs and auto-shipping. Whether this is the case with this offer though remains to be seen. In the following review we will discover the truth for ourselves, before concluding whether you should sign up for this offer or not. 4 Is MuscleXtreme a scam? As with any supplement we review we would advise not to rush into any decision to sign up, but to look for actual proof of these claims. For example, what ingredients have been used? As this will show you exactly what benefits are on offer. Unfortunately not only is there no label available to view, but also very little ingredient information at all available. There is a brief mention of “testosterone boosting arginines” and that there is “no caffeine”, but no dosages or mention of any other ingredients. This is disappointing and puts serious doubts on their claims. How can we check the accuracy without knowing the ingredients? Also, are any of the ingredients potentially dangerous? These are serious concerns that will rightly make you think twice about using this supplement. As with most trial offers, the true cost of the trial is not immediately available to view. Usually, as is the case here, it is hidden away in the T&Cs. This states that signing up to this offer gives you 14 days before you are charged the full £85 purchase price. While there is no specific mention of auto-shipping in the T&Cs there is a mention of a “subscription”, which could potentially mean the same thing. The lack of ingredient information and high cost all points towards MuscleXtreme being a scam. If I were you I would not waste my time on trial offers. As the old saying goes “if it sounds to good to be true, it probably is”. I suggest that you look for an alternative if you need a little help with your training efforts. Please leave a message below if you have signed up for this offer. If you have been put off by the high cost of MuscleXtreme then I suggest that you take a look at the Crazy Bulk website instead. They have a variety of products that can help your training efforts, but our suggestion would be D-Bal. This supplement is designed to mimic the benefits of the banned steroid Dianabol, yet it is completely legal and safe to use. None of the Crazy Bulk supplements are available for trial so there is no hidden or repeat charges to worry about. I am extremely unhappy that a late night web search or cellphone “”Pop up “”advertisement …..the whole product line is a total bunch of B.S. and I do want to shut down this scam mo!!! We get your Credit card number and charge $$$over 70 dollars…..of garbage comes to you EVERY FREAKING MONTH !!! Nathan, the above is a review. We do not endorse this offer. Please use the contact details provided. Hey, this is the second month that money has been taken from my account, can someone tell me who I can call or email to get my money back, the ones above don’t work. Someone please help me!!!! HI, I need the contact details provided, I need somebody to answer me, you charge my account twice the same day, I already send a message saying I can not take these supplement by order of my doctor, and asked you not to sent me anything else, and I got the second bottle , I returned and came back today. I will return it tomorrow again. Please I need my money back. You need to use the contact details found in the above review if you wish to cancel.